And just like that, Christmas 2018 is over! 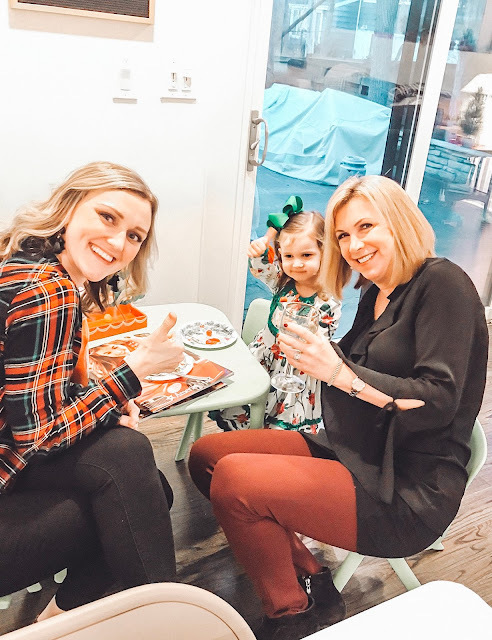 We checked off every, single festive activity possible this month, from breakfast with Santa, to school parties, we kept the holiday spirit alive and well over here! 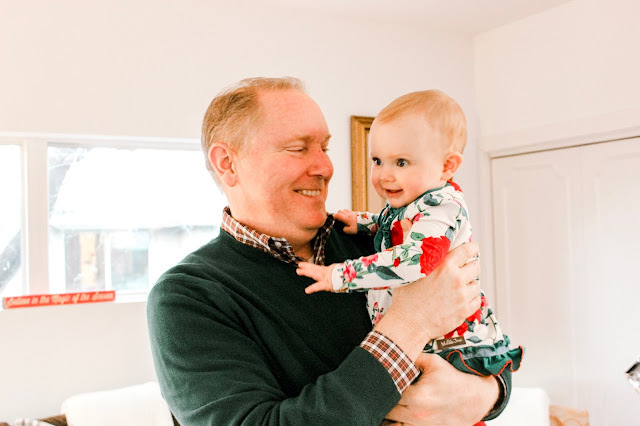 With Avery's birthday being at the beginning of December, and Christmas following a few weeks later, we filled every weekend with something fun and festive. It was SO nice to slow down just a bit this week and focus on spending time as a family. We started off our weekend with a favorite tradition, driving around our town looking at all the Christmas lights and decorations. 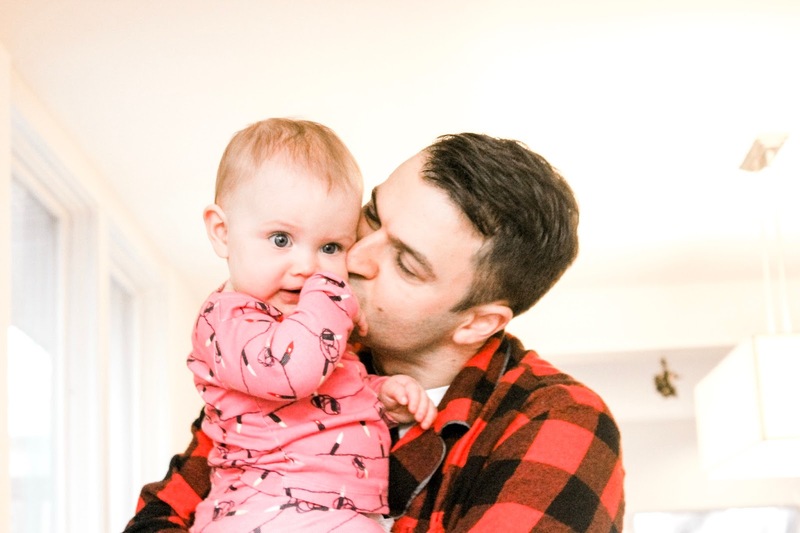 We made the mistake of telling our little ladies that we would get ice cream after, which meant they saw a block of houses and kept asking, "Is this the way to Dairy Queen!?" Isla was so quiet and so intrigued by all the lights! It was so special to have her join us this year. Next up, we celebrated Christmas Eve! This year, we followed Scott's tradition and let the girls open the presents from us and their "sister" gifts to each other. 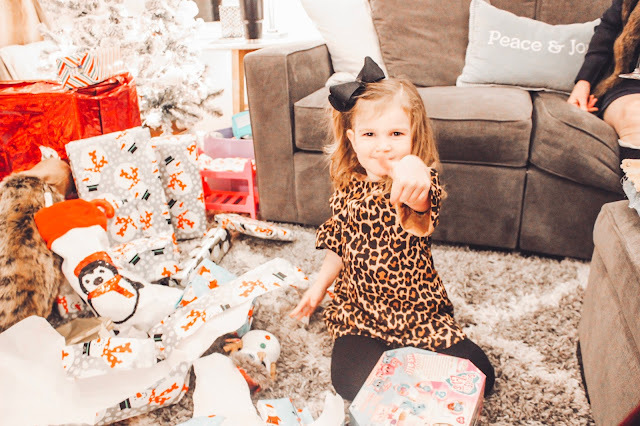 We were so happy with this decision, it broke up some of the gifting craziness and the girls enjoyed playing with some new toys throughout the day. We buy them each four gifts, following the something you "want, need, wear and read" method! 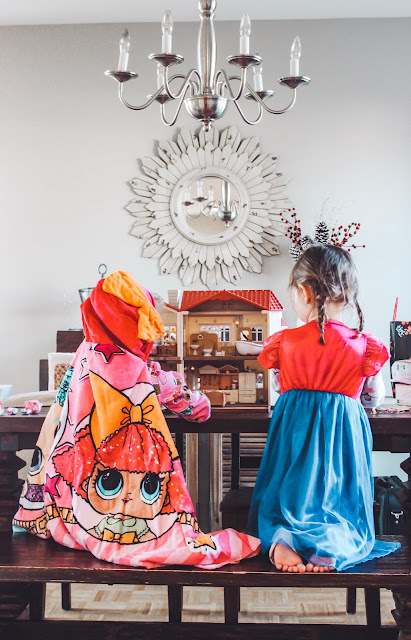 We loved watching them exchange their sister gifts, Avery and Emmy would tell the other sister what they bought before the present was even opened, they were just too excited! I loved this tradition and we will definitely keep up with it next year too. Christmas Eve evening, we went to Mass and hosted our parents after. 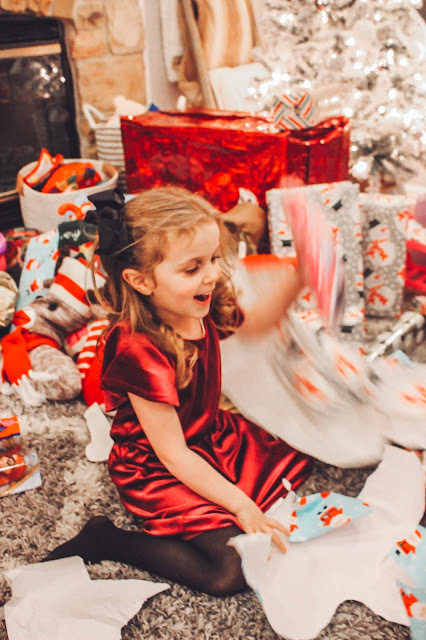 The girls were able to open gifts from their Mimi and Grampy, which meant more wrapping paper madness and lots of excitement. 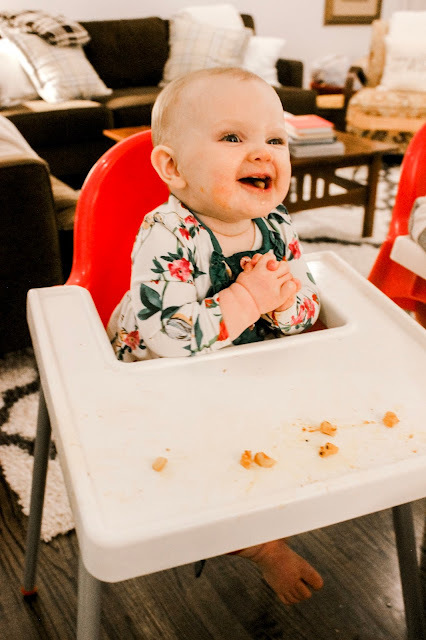 I truly think you could wrap up an empty box for Avery and she would scream like it was something she wanted more then anything else in the entire world! I l just love that girl, she makes everyone around her feel so appreciated and loved. We all enjoyed eating too many appetizers, followed by our Italian Stew and snacked on lots of sweets to end the night. 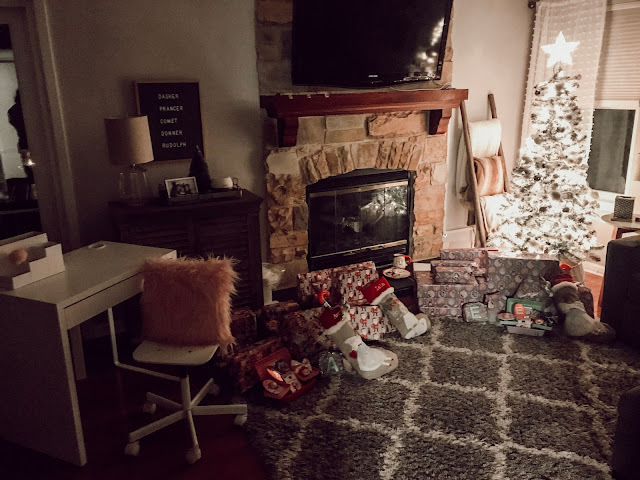 Santa's elves were up late getting everything set up for the girls and everyone went to bed excited for the morning. Can we also appreciate the shocked look our littlest girlfriend gives us every time we take her picture! Finally, the main event, Christmas! We thought the girls would for sure wake up at 5:00 a.m. ready to open gifts, lucky for us, they waited until 6:00 a.m., ha! Emmy was up first, followed by Avery and little miss Isla decided to sleep in of course! The girls were SO sweet running down the stairs, literally screaming in anticipation, ready to see if Santa had come. 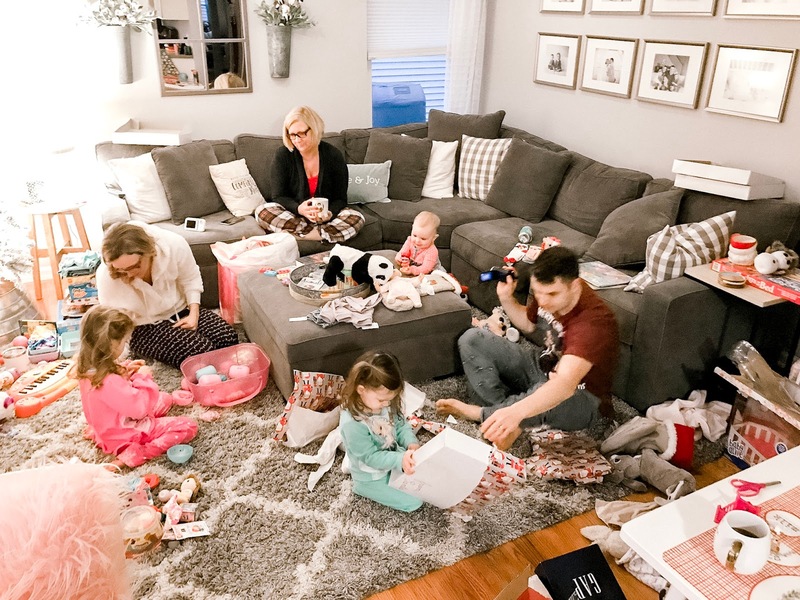 We loved watching them open each gift from Santa, luckily... they were all on the good list! This year Avery asked for a Big LOL Surprise and a desk for her room, Emmy asked for a Real as Can Be Baby Alive, a cat piano and a panda bear, and Isla just asked for some peace and quiet ;) By 7:00, Isla was awake and the big girls were finished opening their gifts. 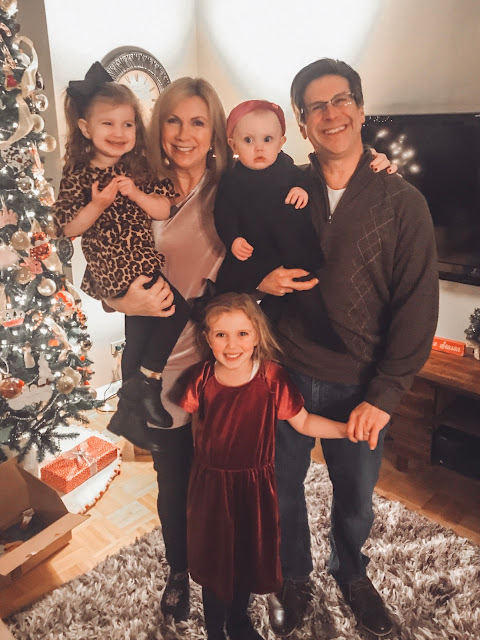 They were so sweet and excited to help Isla open her first Christmas gifts, her favorite gift seemed to be a new wood teether that was in her stocking, which made sense considering she cut four teeth over Christmas and the few days that followed! At night, we headed to my parents, Avery and Emmy were SO excited to see their cousins! 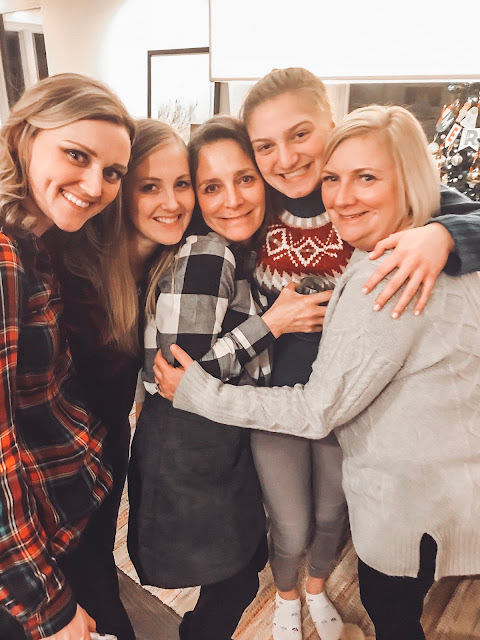 We always eat homemade pasta for Christmas dinner and it's a meal we all look forward to every year. This year we started a new tradition of an adult grab bag, which was hilarious, as well as adding in a few rounds of Left, Right, Center, as the family social chair, I think our activities went great ;) By the end of the night we were all exhausted, the kids went to bed somewhat early and I'm positive we all fell asleep the second our heads hit the pillow! It was such a magical holiday, every year gets better, seeing our girls and their excitement for the holiday is the BEST thing ever! Santa, we are already counting down the days until you come visit us again, I hope you all had a wonderful holiday with your family, Merry Christmas! Friday Favorites: This and That Edt.